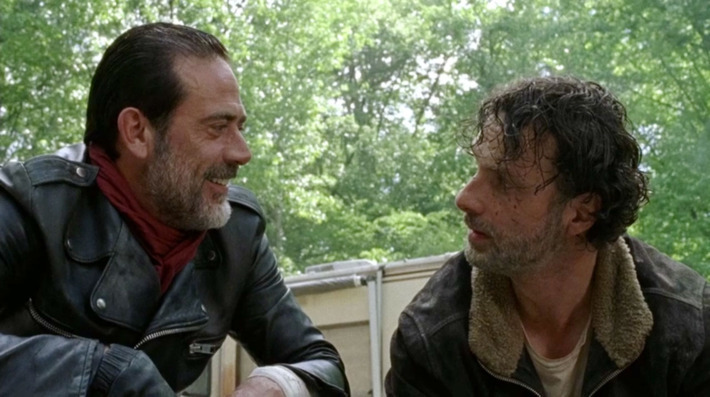 Negan is a cruel, cocky, arrogant bat-swinging baddie with little remorse for his actions. Rick Grimes is the central POV for The Walking Dead’s storyline and thus, must be more virtuous. But not by a large margin, at least not on TWD. 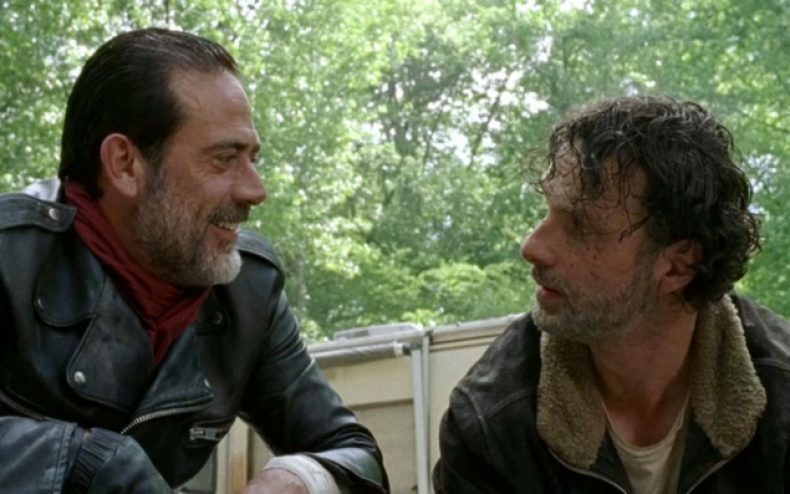 Showrunner Scott Gimple told Comicbook.com he believes the two characters have a lot in common. Rick has had his moments of crossing the line, but I would argue it isn’t because we know his life story that we don’t hate him. It’s because he doesn’t lead a militaristic dictatorship or pound people into hamburger at the drop of a hat. This being said, it would take one Titanic of a tragic backstory to make the audience sympathize with Negan. Gimple has spoken in the past about exploring how Negan got to be where he is…his comments suggest we may see some flashbacks this fall. The Walking Dead returns for a new season this October. Its spinoff Fear The Walking Dead begins its third season this Sunday, June 4.